"It was awful! My son was coughing so hard and wouldn’t stop! We had just moved out of town, we were out of his meds and I didn’t even know what doctors were in the area. Dr. Gunn was wonderful. He took my call on a weekend and told me very calmly what I needed to do for my son until I could locate someone in our new location. Thank you, Dr. Gunn for helping one very anxious parent." 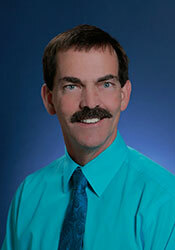 Patrick Gunn comes from a family of which many members have dedicated their lives to the medical industry. With a father who was a physician, it seemed only natural that Patrick would also pursue a career in medicine. However, his love for children made it clear to him to focus on pediatric medicine. Raised in Philadelphia, Patrick Gunn had a special love for the Tahoe area and decided to make Northern Nevada his home in 1992. He enjoys the small community of Carson City and wanted his growing family to feel safe and enjoy all that this area has to offer. Exploring, hiking, downhill skiing soon became part of his family’s norm. The passion for medicine continued throughout the Gunn family. Patrick’s wife, (recently retired) as an educational coordinator in ICU for nearly 10 years, his daughter pursued a career in dentistry and his son in physical therapy. With 25 years practicing Pediatric Medicine at Carson Medical Group, Patrick impacts upon his patients to take charge of their healthcare by educating themselves. He wants them to have minimal fear or discomfort when visiting their provider so his focus is to prevent any possible trauma to the best of his ability. He takes their questions and concerns to heart and follows up with anxious parents. Recently, Patrick and his family are most proud to be sponsoring an orphan child in a remote part of Mexico. “Love is the answer” is what first came to mind when asked about his favorite quote which easily sets the tone on how Patrick conducts his family life as well as his profession.